The Power of Running Together: Join us for our Brooks Power Hour. We'll battle together against all other Fleet Feet stores to see who can run the most miles in one hour. No matter if you can run a 5 minute mile or you walk a 20 minute mile, everyone's miles count. Let's see how many people we can get to move for one hour! Three pair of Brooks running shoes will be prizes for most miles run, most creative running outfit and most social media tags for the Power Hour (pre run). 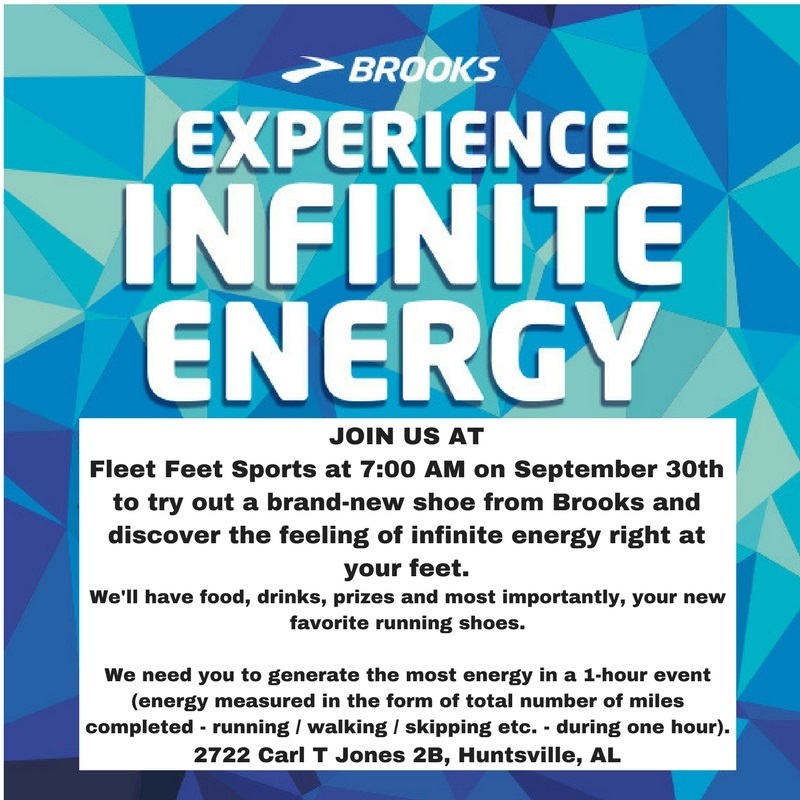 The Power of Running Together: ﻿Join us for our Brooks Power Hour at the Fleet Feet Sports. We'll battle together against all other Fleet Feet stores to see who can run the most miles in one hour. No matter if you can run a 5 minute mile or you walk a 20 minute mile, everyone's miles count. Let's see how many people we can get to move for one hour! Please bring your GPS to verify mileage!